Q. How does Changing Course connect to the State’s Master Plan? Louisiana’s 2012 Comprehensive Master Plan for a Sustainable Coast lays out a bold, ambitious and essential plan. Part of the plan envisions utilizing almost half of the sediment flowing in the Mississippi River, and some of its water, to rebuild strategic areas of land in the Delta surrounding New Orleans. This reconnecting of the River to its Delta is essential for the long-term protection of the people and economic well-being of the greater New Orleans region. In designing solutions for a sustainable coast, Changing Course’s competitors must work within the Master Plan’s framework, and will specifically address an unsolved challenge identified in the plan—how to maximize use of the Mississippi River’s water and sediment toward its mouth to restore Delta function and rebuild wetlands while continuing to meet the needs of navigation and coastal industries, and providing risk reduction for communities. The goal is that any proposals for major physical interventions that emerge from this design exercise will be sufficiently developed, tested, and considered by stakeholders to be eligible for inclusion in the 2017 State Master Plan—an important blueprint for what promises to be significant new government spending in the future. Q. What is the goal for use of the design proposals at the end of the competition? A. The goal is that designs emerging from this competition will be sufficiently developed, tested, and considered by stakeholders to be useful in the 2017 State Master Plan – an important blueprint for what is expected to be significant new government spending in the future and other official planning and implementation processes. Q. What is the geographic area of Changing Course? The primary geographic focus for Changing Course’s design interventions is the section of the Lower Mississippi River and surrounding basins south of New Orleans, from approximately English Turn to the southern Passes. However, teams may also consider management strategies further upstream to the Old River Control Structure if they believe that these will deliver worthwhile benefits to the study area. Socio-economic impacts will, of necessity, not be limited by this geographic boundary, and teams are expected to recognize this in developing their designs. Q. Who is engaged in Changing Course? A. Three committees, the Leadership Team and the Technical Advisory Team have been formed to advise Changing Course and ensure that the technical solutions developed through the competition meet the goals of coastal restoration, maintenance of navigation and flood control systems, and protection of coastal residents, communities, industries and economies. These teams bring together a wide array of local and national stakeholders and experts, including prominent leaders of Louisiana’s and the nation’s civic, industry, and academic communities. Q. Who is the ultimate client? A. 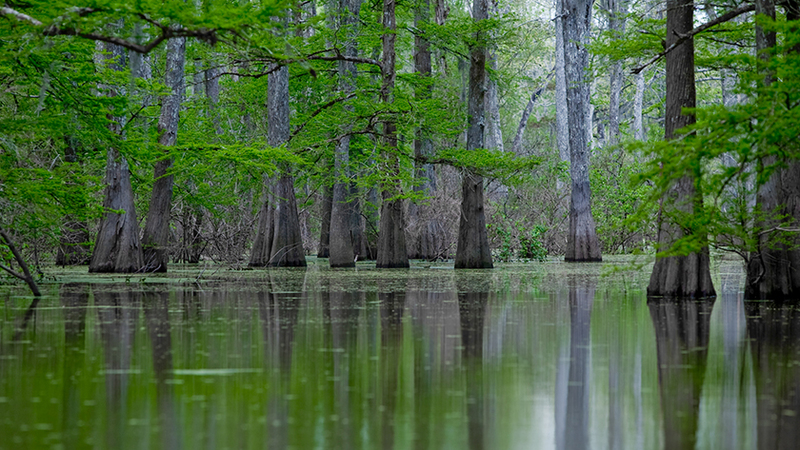 The ultimate clients of the competition are the citizens of Louisiana and the wide array of stakeholders who use and rely on the Mississippi River. In practice, these groups are represented by the Changing Course Leadership Team. With recommendations from the Technical Advisory Team and Stakeholders, the Leadership Team members shape the structure of Changing Course, review and approve the RFQ and RFPs, select and provide overall guidance to the final design teams and evaluate and select the winning submissions. Learn More About the Competing Teams.